With all the wish lists, shopping and general craziness of the season, it’s important to stop and take time to remember what matters most: family! After all, they’re the reason you’re doing all that shopping, baking and decorating, right? We’re actually in the middle of gearing up for our huge holiday gathering. It’s a big family tradition ripe with mini-traditions. Our family doesn’t have many traditions during the rest of the year, but when it comes to the holidays, we’re pretty serious about our ways! I’m not sure where they all started but I do know that my grandparents – especially my grandmother – carried them on when I was a child. Now, it’s up to my mom to keep them going. My grandparents watch from their special spot on our tree (which, by my own tradition, goes up the weekend after Thanksgiving)! One of my favorite holiday family traditions is our annual dough ball soup. It’s a secret recipe passed down from my great-grandmother. She called it Holiday Soup because she only made it during the holidays. Why? It involves rolling thousands of tiny dough balls! Best soup ever. Someday I have to learn how to make it, then guard the recipe with my life the way my mom now does. Another important family tradition is the Santa Claus tradition. It’s a newer tradition started by my mom. 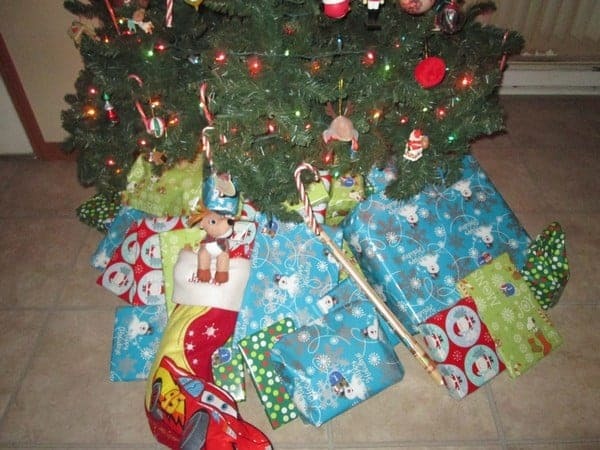 No matter how old we got, my mom always waited until we went to bed to put presents under the tree. Even when I was in my 20s and moved back home, Santa didn’t come until I went to bed. My son is 9 and stopped believing this year. He still has to go to bed before “Santa” comes! Like most families, we have dozens of other little traditions that we don’t even think about, we just do them. Certain cookies, decorations on the tree (we’re using the same tree topper that my mom bought when I was little), watching holiday movies with my mom, even the way we hand out gifts to each other. It all stems from family traditions that have grown over the years. As my son gets older, I’m sure he’ll start his own little traditions that will pass down to his kids. The keyword in family tradition? Family. It really is what matters most during the holidays. Did you know that for 60 years now, the makers of TYLENOL® have helped care for families? This year, to celebrate the holidays, they’re putting a new spin on the classic Rockwell painting Freedom From Want. 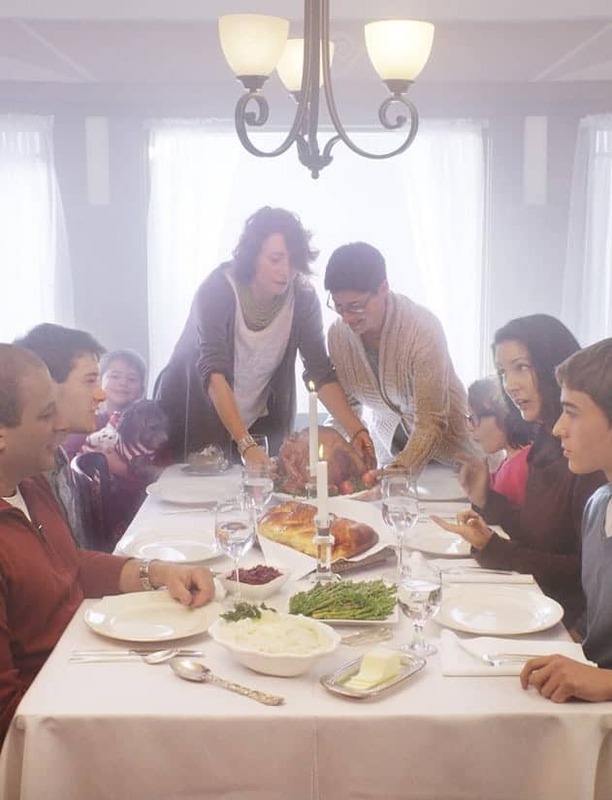 Visit TYLENOL® For What Matters Most™ to learn more about other families’ traditions, like those of The Beser Carr Schneider Musich Family. The Beser Carr Schneider Musich Family considers themselves a “super-family,” learning and benefiting from each other. Show your support for their can-do attitude by pinning their picture (above) on Pinterest! 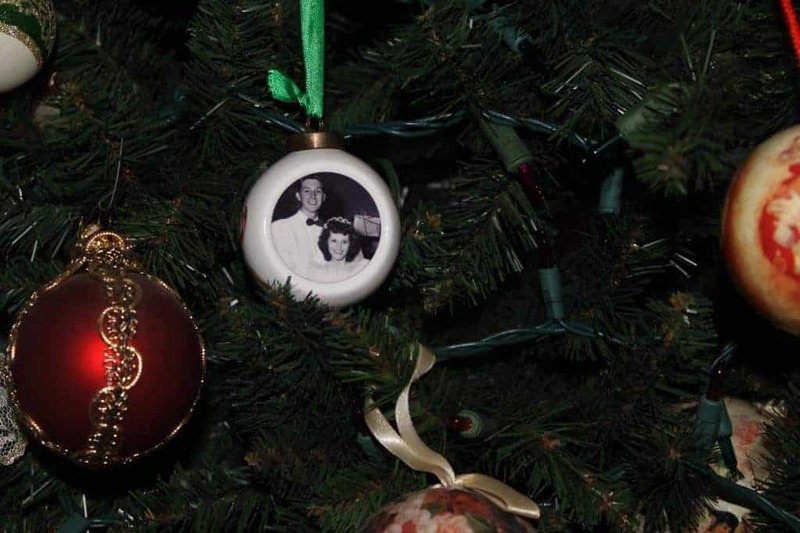 What are your favorite family holiday traditions? Tell us in the comments! Family traditions are very important and always has its own special meaning to each family. Our family holiday traditions are very important to me. They teach the kids about togetherness and the importance of family. Every year we all have dinner at my moms. I have 3 sisters and they all have families so we have lots of fun together. Every year we go down to the road to Bronners (said to be the biggest Christmas store in the nation) and pick out ornaments. This year we picked out our ornaments a few months ago as kiddo spotted something at Hobby Lobby she liked. Usually she picks one for her tree and then her dad and I pick out an Irish and a Scottish for our main tree. We do breakfast at my mother-in-laws on Christmas morning after we get up and open presents. Love this!! We have several traditions too that I hope my children will continue! Over the years we have changed up traditions depending on who is available and whether we are with other extended family. We have a few foods that we have every year and that is one constant that never changes. Without a doubt it’s family; family is the most important part of the holidays! We have some traditions we do not do anymore now that the kids are teenagers. We have started new traditions like watching a Doctor Who marathon every year on Christmas day. We do the typical stuff. Trimming the tree, visiting santa, soaking in the spirit! We go out on Christmas Eve and eat breakfast for dinner at IHOP and the go look at Christmas lights. So much fun. Keeping up family traditions is so important. It really is what makes the holidays so special. We have a tradition of opening just a small gift the day before Christmas and singing carols until they get too tired. We also have play board games too. We have lots but my favorite is just hanging out at home on Christmas waiting for dinner to cook and watching a movie as a family! We have a lot of holiday traditions. One of our favorites is purchasing a live tree at a Christmas tree farm every year. My favorite tradition is all the older children getting together to play games after the big dinner. It’s always a blast! Our traditions have changed alot over the last couple of years since moving to SC. We don’t celebrate Christmas until Christmas night because that morning we wake up and 4 am and drive to get my niece for a week. It’s very important to all of us that she be with us so we wait for her. Christmas Eve we get together with my side of the family and have a big celebration. My daughter cooks dinner on Christmas since we are driving for 12 hours. Such a beautiful post! You’re right, it’s important to keep traditions alive, especially during this season! One of my favorite things about the holidays is going to my parents’ house on Christmas Eve. Every year, for as long as I can remember, I have gone there and we just enjoy a nice evening together. I think as I age, my traditions change. What was once so important, is no longer important. Getting together with family never changes and is the most important of all. We do a cookie exchange on Christmas eve. I love doing that every year.